"Outdated Pre-2004 Pick Up Artistry Advice and Poor Execution on Promises"
Outdated and sometimes 'social robot' awkward advice, primarily based on old school pick up artist advice like that of Real Social Dynamics in the years 2003, poor quality and difficult to understand demonstrations, strangely advice seems to clash with typical advice given by The Art of Charm. A poor quality course made up mostly of outdated advice from the old school pickup artist community. Suffers from a disconnect between what is promised (private coaching, 100s of videos) and what you actually get. Recommend you check out any of the top editor rated courses on DSR instead of this - they will get you more value for money, and deliver more results. The Art of Charm position themselves today as a company that is focused on general social skills and helping men to become better versions of themselves. For this reason, I expected their online membership course "The Art of Charm Academy" to have a strong social skills focus, and most probably represent a summary of the best information from all the interviews with "experts" they’ve done on their Art of Charm Podcast (previously named "Pickup Podcast"). Something I’ve noticed from listening to their podcast from time to time, is that they tend to beat down on any advice that came from the pickup artist community. They tend to look at the information as manipulative and sometimes weird and creepy. This is important to give you as context, as if you are interested in their course you probably have been listening to their podcast and this, and their marketing material about their academy is setting an expectation of what you will be studying. I’ll be coming back to this later in the review, as there is a big gap between how they have positioned it and what you actually end up studying. There are two main parts to the training in this course. There are six monthly modules (the course is set up for you to go through it over 6 months) and a vault of videos with lots of different content. The monthly models are the main part of the course, and in them you find a video of 10 to 15 minutes for each week. So 4 of these weekly videos per month. The subjects start from simple things like mindsets and how to smile and tease women in month 1 to more advanced material in further months. They do a reasonable job of hitting a lot of relevant topic areas to meeting and attracting women in the course. There are around 100 videos in total inside the Academy, some of these are repetitions (e.g. same video demonstration from monthly module in vault) and most are demonstrations or illustrative videos of different concepts. Others are more like entertainment videos, and you can find many of these on the Art of Charm's YouTube channel. So they are really just buffer content. The instructors teaching on the course, are primarily Jhonny Dzubak and Alex C Weber with sprinklings of other members from the Art of Charm team. 90% of the content in this course comes directly from the teachings from Real Social Dynamics circa 2003 to 2004. In fact, most of it was most likely researched through two RSD products - RSD Foundations and The Blueprint Decoded. Other influences you see in the course’s material are Swinggcat and Mystery (Erik von Markovik) style advice. This includes the body language tips, what you’re told to say (routines directly lifted from the most common pickup lines), how to pass women’s tests, your mindsets and what you should believe in, etc. etc. This is very interesting. Since as I mentioned at the beginning of the interview, the course is positioned as not being ‘pickup artist’ style material. In fact it’s the closest fit to an old school pick up artist course I have seen in years. Also, many of the guests on the Art of Charm podcast are not from a pickup artistry background, so it’s interesting that they haven’t taken advantage of at least some of that material to introduce some innovation and added value into their course. The background to their choice of advice is that while some of it is still relevant, some of it is really not something I would recommend people use these days. Some of the pick up artist routines, which the Art of Charm has renamed "Banter Lines", have been overused so much, that I would think most women have heard them at some time. For example, the "You are trouble" line. I wouldn’t recommend any beginner use these kind of lines, as it is likely to trigger suspicion in women who have lived through the last 10 years and have heard these more than a few times, and mostly from novices which they didn’t walk away with the best impression from. Most of the companies, including Real Social Dynamics, that used to promote the old school pickup artist advice have since evolved, innovated and improved on their teachings. The material taught in this course was a bit reminiscent of what we looked at as awkward and unnatural "Social Robot" behavior back in the day. Some of the body language is over the top, and will really make you look a bit mechanical. Everyone who is good with women stopped all this over 10 years ago before even Neil Strauss’ The Game came out. Some of assertions made in the course have also been invalidated by science. A classic one is that 90% of your decisions are made by the subconscious, which is a typically regurgitated myth you find repeated over and over in courses. It’s from an old refuted study that was done decades ago. In summary: The advice in the course overall is very dated, things have moved on a lot, and there is much better advice out there now. Check out some top rated courses for examples. In each of the weekly videos you have a demonstration of the skill being taught in a 2 minute video. Sometimes this gives you two versions: A) How not to do it, and B) How to do it. The intention is good, all courses should have practical walkthroughs for everything they teach to increase the "Ease of implementation" factor. However, the execution of these videos severely undermines their value. The biggest issue is that the audio is so bad that you can hardly hear what either the women or the men are saying. The background noise is constantly drowning out what they say, so you probably won’t be able to make out what they are saying half of the time - and you’ll need to concentrate to filter it out. In some of the videos, I found it to be really over exaggerated and as a result misleading. Like if you actually did what they showed you in the videos you would come off as weird. This most likely happened because the videos are scripted. So the girls are actresses or employees of Art of Charm, and doing their best to get into their role, but it’s not natural. The final issue, is that there seems to be a disconnect between what is taught and what is shown in the video demonstrations. In video #1 for example you are taught about the importance of the subconscious and body language, but you didn’t see this coming through in the demonstration properly. As a result, I’m not sure how much real practical understanding you will take away from these demonstrations. Some are worse than others. So some will likely help you a bit, while others won’t. There is ‘private coaching’ advertised for this course, but I couldn’t find it anywhere. You see the odd post in the forums from one of the Art of Charm staff, but it’s not so consistent. I imagine this is what it was referring to. It looked like the Art of Charm staff used to be more active in the forums in the Academy’s earlier days if you look back through the forum history. 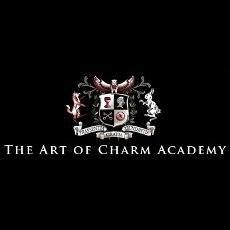 The Art of Charm Academy was launched 3 years ago in 2012. You would expect over that time that a relatively active community would have developed inside. Currently there you see someone post every few days, and there are a total of ~2500 posts. There does seem to be a relative spirit of camaraderie in the forum, whereby other members are posting in response to each others questions. The benefits of a forum like this are a little difficult to assess. The problem is the phenomenon of "The blind leading the blind". Personally, I tell men learning that they should not listen to feedback in forums from other forum members who don’t have a guaranteed history of success with women. Otherwise you are more likely to be led in the wrong direction and get confused. The quality of feedback is hyper important. You can learn more about why I see this as very important in our Fast Track dating manual. So the forum and community was overall dissapointing. For it to be more useful the Art of Charm team would have to be a lot more active inside there, to make sure members don’t lead themselves and each other astray. This is a pretty poor course made up mostly of outdated advice from the old school pickup artist community. It also suffers from a disconnect between what is promised (private coaching, 100s of videos) and what you actually get. I’d recommend you check out any of the top editor rated courses on DSR instead of this - they will get you more value for money, and deliver more results.